Sometimes called "cozy murder mysteries," traditional British detective stories like this one are as compelling in audio form as on the page, especially when delivered in the proper English tones of actor Hugh Fraser. In this mystery, dentist Dr. Morley is found shot not long after Hercule Poirot himself has paid a visit. 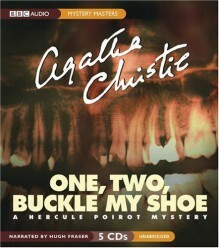 When Morley's last patient also turns up dead and the prime minister is shot at, Poirot tries to determine the connection between the good doctor and a possible government plot. Agatha Christie disappointed me with this book. I really thought I'd cleared away enough red herrings to see where the story was going. So not!